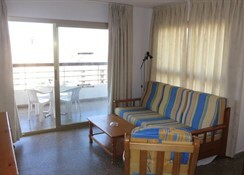 The 2-star Acuarium II Apartments are located in Benidorm in Rincón de Loix on the Costa Blanca of Spain, close to the Mediterranean Sea and with easy access to the attractions of the town. 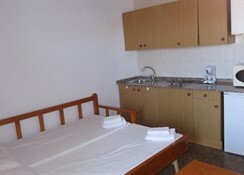 There are 100 self-catering one-bedroom apartments and studios available at the Acuarium II Apartments housed over 22 storeys, which provide budget-friendly accommodation for couples and families. The resort focuses on fun and relaxation with a sparkling seasonal swimming pool with children's adjoining pool, sun terrace with loungers (payable locally), and two tennis courts. (payable locally). 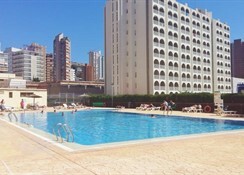 Book a studio or one-bedroom apartment at the 2-star Acuarium II Apartments for great value for money and easy access to the fun of the beach with terrific water sports, and all the renowned entertainment on hand in Benidorm, Costa Blanca, Spain. Getting to the hotel: Alicante International Airport serves. 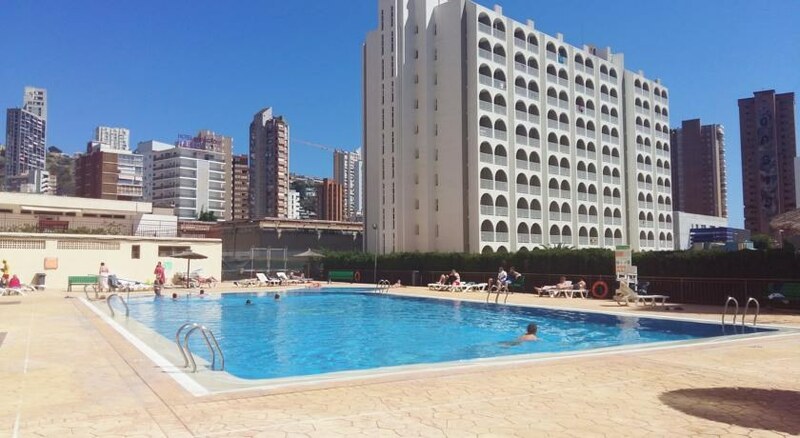 Local tips: The nearest beach is the popular Levante Beach (650m) and an approximate 20 minutes walk to the town centre and the attractive old town; there are plenty of restaurants, bars, supermarkets, shops and evening entertainment; a bus stop only a couple of minutes from the hotel. 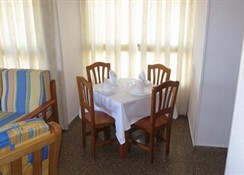 Food, drink and entertainment: Self-catering: kitchenette provided; and a variety of restaurants and supermarkets, bars and cafes within easy reach. 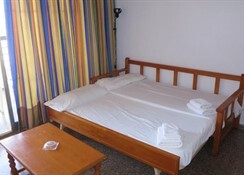 Sport, games and activities: Swimming pool with sun terrace (summer season), and 2 tennis courts(payable locally). Aqualandia Water Park is less than 2km away. For the kids: Children's pool attached to main pool. Additional: Front Desk key services (check address & opening times on booking), housekeeping, returnable deposit required of 200 euros for breakages, car and bicycle rental, elevator, luggage storage (during office hours). 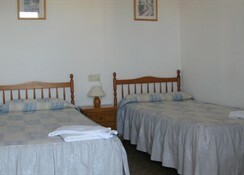 Please note that a 200 Euro refundable damage/key deposit payable on arrival per apartment/studio.